Amazon New Kindle Available with built-in WiFi & a touch screen at INR 5,999 :- For all the people who love reading and can’t afford costly Kindles, Amazon has come up with a new entry level kindle which is just 9.1mm in thickness and weighs just 161grams. And this time it bears more rounded design accompanied by a flat black. With a black color variant one is also having the option to buy it in white color. It will be priced at the tag of just INR 5,999 and hence easily in reach for all the students or youngsters who can’t shed much money. Company will start shipping this device from the 7th of June while it is already available for pre-order on Amazon. USP of this entry level kindle is that it entails the option of Bluetooth audio especially for the blind people so that they can hear to the books by just inserting the speakers or wireless headsets. Apart from this there is another feature that let one email himself all the notes or highlights in the PDF form or spreadsheet form and the company claims that soon they will be launching this feature in their other kindle models soon. 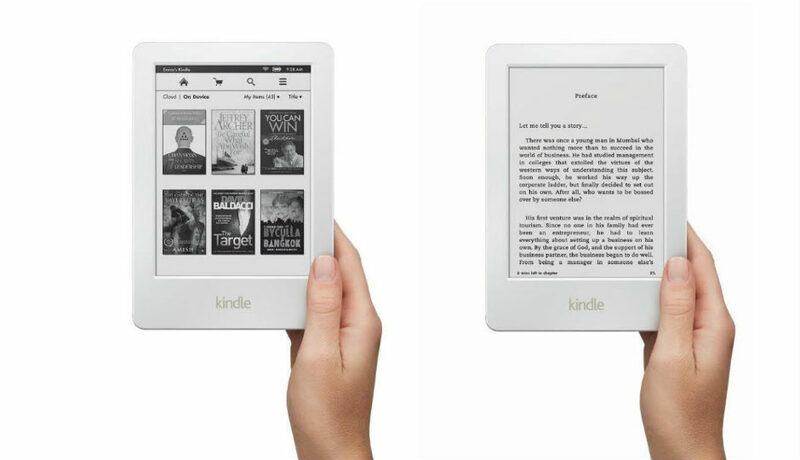 It is the next generation of kindle available at similar price and even boasts similarity in one or two features. Just like its predecessor it also sports 6” display delivering screen resolution up to 600X800pixels and hence offering pixel density up to 167ppi. As a connectivity option it also boards wifi 802.11 b/g/n support. Like the higher version you won’t be getting 4G or 3G connectivity along with the wiFi support. It boards 4GB of memory as internal which is capable of storing thousands of books and it also promises the battery life up to 4 Weeks when wireless is off. All in all it’s a really good option for those who are keen readers and wanted kindle in their budget.